When United rolled out Basic Economy last year, it got a lot of flak for how it handled it (including some right her on the blog). Yesterday, American rolled out its version of Basic Economy, and I was waiting to see how it would go. The product is fairly similar to that of United with a couple key differences that soften the impact. But it’s the way that American has positioned this that I appreciate. The airline isn’t mincing words. Much of what American is doing will sound a lot like United’s plan. Here’s a chart from the airline’s website. Ok, so the last two aren’t real, but the rest should look familiar. That’s no surprise. After all, remember, United’s new President used to have that job at American. I would be surprised if there weren’t similarities. But does any of this differ from what United has done? Yes. Here are the big differences. At United, you get your seat at check-in no matter what. At American, you will be able to pay for Preferred or Main Cabin Extra seats within 48 hours of travel. Whether that cost will be the same as what everyone pays is unknown, but at least there is that way out if you freak out about not having a seat assignment and want to do something… if seats are still available 48 hours out. At United, you can’t earn any elite qualifying miles or dollars. At American, you will earn elite qualifying dollars based on what you paid. You’ll also earn half credit for elite qualifying miles and segments. At United, this is being rolled out aggressively (Update: United just announced that it will start it in Minneapolis and go slowly). At American, the airline is starting slow with just 10 markets going on sale when it launches sometime in February. I don’t know what those markets are, but I would assume they’ll be a mix of different types so they can evaluate and phase in additional markets depending upon how that goes. At United, if there is a coach seat available, there will also be a Basic Economy seat for sale at a lower fare. At American, Basic Economy fares will not always be available, even if coach fares are. These may be relatively minor differences, but it makes the introduction come across as more thoughtful and measured. The letter President Robert Isom sent to the team carries that through even further. In the letter, Robert doesn’t mince words and he doesn’t pretend this is something it’s not. I think my favorite line is “It’s not a new discount, it’s a new set of features for our lowest fares.” Now I can’t say I’d call them “features” in this situation (in the Q&A on the website it calls them “attributes,” but if you read the whole letter, the point is made well. American feels it needs to be competitive with lower cost carriers, but it can’t do that without offering a bare bones product. This is that product, and it’s not coming at a discount. Love it or hate it, you at least know what’s going on. As it does today, American’s reservations system will check for families traveling with children 13 and under a few days before the flight, and attempt to seat each child with an adult. This is the same process we follow for Main Cabin customers. That’s something that has a lot of people concerned, and it’s good to know that someone at American is actually thinking about it before launch. Does this mean I’ll be buying a Basic Economy fare from American? Heck no. I want my window seat, and I want to carry on my bag. This isn’t for me regardless of the airline that puts it out there. Even if I did like the idea of Basic Economy, Delta would easily be my first choice between the three. That airline still allows carry-on bags. But I do see the value of this kind of product, and I think American has certainly done a good job of explaining what it’s all about. I get the principle of not charging customers for things that they don’t want or don’t need (though I generally disagree that it’s a good idea). But not providing any ability to have a bag on these fares seems stupid. I can’t imagine there will be any non-elites who will purchase a basic economy fare and not need to pay for a checked or overhead bag (and that will mean checked, since AA doesn’t give non-elites on basic economy fares the option to pay for an overhead bag). There are some short business trips on which I can and do travel with no rollaboard (even AA misspells that word “rollerboard”! ), but basic economy fares almost certainly would never be applicable to those trips. So these fares strike me as ridiculous. Why are consumers so stupid that airlines can’t charge $25 more one way and include a checked (or overhead) bag? It’s the way the industry is going, and AA probably has to match because consumers have consistently shown that they aren’t smart enough to compare their actual costs for a trip instead of the base airfare plus taxes, but it’s dumb. except some people get checked bag fees waived – elite / credit card holders. So what this is doing is saving the overhead bin space, which generally runs out, for higher paying people and those who care less, will deal with inconvenience of checking bag. Alternatively, you could argue, as you did at the end, they don’t want people choosing basic economy – it gives them a cheap price in the market to incent you, but then they want the upsell, so even if it isn’t a good idea, it got you to American Airlines, which is enough. The one thing these type of fares allows you to do is mix and match. I recently purchased the lowest Jetblue fare that doesn’t include a seat assignment or checked bag. It was about $25 less than “blue plus.” Then I purchased an even more space seat for $40 which gives me more room and first dibs on the overheads. Assuming blue plus is the “regular” fare, I was able to save money by using the basic fare then buying what I needed because I would have bought the seat upgrade anyway. I wonder if the big 3 basic fates will let you buy into economy plus seating or if that will be restricted. If they are smart, it will be restricted or else people with no checked bags will do what I just did. From the post, American is allowing Basic Economy passengers to pay for Preferred (supposedly more desirable regular seats, in practice about 75% of window and aisle seats) and Main Cabin Extra (more legroom seats) starting 48 hours prior to departure. So it sounds like a bit of a compromise. Basic Economy pax won’t be able to buy MCE right away like you did on JetBlue, but they will have the option close to departure. If you’re traveling with a family then you often need fewer bags than you have people traveling. A family of 4 could bring check one suitcase instead of bringing 4 carry-ons; they save on 4 tickets and pay for just one bag. If the point is to make it a bare bones fare and give you what you pay for – why can’t they just charge for a carry on when you purchase the ticket (like spirit etc). Then they get the extra revenue and you get your carry on. Perhaps because they can’t actually guarantee that there will be space for your rollaboard once you board last? VJ – I think in their minds, they’ve decided that the key to making this successful is having as much differentiation as possible. Not allowing carry-ons makes a huge difference in that effort. Think about it this way. Spirit may be $100 but you have to pay $35 to carry on a bag. For that person who only wants to pay $100, American can offer a like product. But for the person who does need a carry on bag, it’ll probably be $135 (that’s really a total guess since we don’t know what fares will look like) to buy the regular fare on American. Still better value than Spirit, but there’s still that bottom of the barrel fare for those who want it. The problem with these fares is similar to problems with hotel ‘resort’ fees. The true cost is not known up front. Specifically, many corporate travellers have to take the ‘lowest’ fare when going to a particular destination as part of their corporate travel policy. Makes sense except all the caveats (overhead bins / seat assignment) are not factored into the price and the comparison is that proverbial apples and oranges. I was under the impression that most corporate travel agencies booked through specialized portals that excluded these kinds of fares. If business pax frequently run into these products, there has to have been some kind of failure either on the part of the airlines’ sales team or the buyer’s travel policies. This does indeed make it harder to compare exact apples to apples, however. There’s no easy way to solve that either. So can Saber do a pricing format to eliminate basic economy fares like it can for nonrefundable? How about Amadeus et al? Andrew – Yes it can. For Delta, for example, you can low fare price by doing WPNCB. To exclude BE, you do WPNCB‡MPC-ANY. You can also specifically request certain cabins in the search if you want. Wow! SABRE entries from the past! Entering the stored fare. You can use the lave when available, but you can’t stand in line for it. How about a side-by-side-by-side comparison of the basic economy features of UA, AA, and DL for a future post? Steve – I’ll put that on the list for when they all actually start selling it officially. As an expat New Yorker now living in SE Asia, boy am I glad that I never have to travel on an American-flag carrier again – when I visit New York every summer I always travel Korean (Pacific) and Emirates (Atlantic), whichever airline offers a better fare. There is no charge for luggage checked in, no charge for cabin luggage, meals and ALL drinks are free, pillows, blankets and frequently other amenities are given without any charge. A seat selection (totally free) can be done while booking online. Both these airlines offer friendly comfy smiley service. If our government allowed non-US carriers to fly between American cities, all US-flag carriers would either shut down or treat their economy class passengers with respect instead of the contempt they so blatantly display now. I read with horror how each year the noose tightens further for passengers in economy class. You say that as if there is a guarantee that those airlines will never change. There are several major non US carriers that already charge for seat assignments, for example. BA, LH. Time to find a new favorite airline? Every one of those amenities you mention is offered by the US carriers when travelling overseas. Further, if the foreign flag carriers operated between US cities, they’d either have to cut amenities or they wouldn’t be priced low enough to compete. American passengers are possibly the most price sensitive group of consumers in the world. Yes and no—Asian consumers are also incredibly price sensitive. I wonder if Mr. Maurya has ever flown Jetstar or AirAsia with their microscopic seats with 29″ of pitch. Arguably, super-dense low-cost-carriers started in Asia and Europe and only spread to North America fairly late. It’s easy for the original poster to be glib, but they ought to look in their own backyard first. I’m a little surprised that people in the US are so against the idea of basic economy. I live in London, have a good job and earn well – yet last year I flew 56 sectors for leisure with LCCs (including 32 with the unmentionable Ryanair) with just a small bag. All sectors were paid out of my own pocket and each time I decided I would rather save the money on one flight to be able to have another day trip to somewhere in Europe later in the year. No, Ryanair is not particularly luxurious (it’s better than it was 5 years ago), but it’s cheap. I’d much rather save a big pile of cash on air fares than have FF miles which can sometimes be quite restrictive to use. I’d also much rather have an extra hour alseep in bed than spend time in an airport lounge when taking a 7 am flight. The whole FF thing to me seems like a great marketing con trick to persuade customers to pay over the odds for things that actually have modest benefit. I know it’s repeat of what Michael O’Leary has said in the past, but when flying short haul, a B737 or A320 really is nothing more than a bus with wings. Cranky has talked about this before—I think the issue is that the legacies have done a horrible job of marketing their unbundling efforts. I for one am willing to spend more, but the truth is, Americans are as price sensitive as Europeans, and this is why Spirit/Allegiant/Frontier/etc. have been spreading. Getting an equivalent option on a legacy with better seats and more options in the case of IRROPS is, IMO, a better choice than buying on a ULCC who tends to often be late, cancel flights with no backup, no rebooking, etc. Don Burr must be hysterical seeing all of this and not getting credit for it. He was so far ahead of his time. One item I don’t see being highlighted is the gate check baggage fee of $25 on top of normal baggage fees. There’ll be some interesting interactions with the GA to balance between collecting the penalty and getting the flight out on time. ptahcha – Yes, that’s the same as United. But the reality is this. American and United don’t want to collect that fee in the same way that Spirit doesn’t want to charge $100 for the gate-checked bag. People are going to know what they’ve bought in advance, so if they show up with a carry-on at the gate, they’re trying to sneak around the rules. And they’ll be penalized for it. How it’ll work in practice, we’ll see. But payment technology is a lot less clunky than it used to be. The simple fact is that UA took the hit for limiting access to the overhead bin for Economy Basic passengers so when AA did the same thing, the response from the media was far less but the outcome is the same. DL has offered Economy Basic fares for years and didn’t touch the issue other than that overhead bin space is limited by the boarding group you are in. All of the global 3 US airlines board their economy basic passengers last so some rollerboards are going to get checked if it came down to space; the difference is that DL is willing to allow gate checked bags as part of the process but without any policy policing or fee collection by the gate agent. It will be very interesting to watch AA and UA”s handling of basic economy bag policies at the gate but I am certain that gate agents won’t be any more successful in diffusing conflict with passengers who try to violate the carry on policy during the boarding process than FAs will. Fee collection and bag checking by fare should not happen during the boarding process but at the ticket counter. As for the comments about the US global 3 carriers cheapening their service, it is amazing that people don’t realize that those 3 carriers are able to differentiate their service in response to competition while the low cost carriers do not or cannot because their brand is tied a specific set of product attributes which is tarnished if they try to compete with ultra low cost carriers. Southwest management has got to be hating to have to offer 2 free checked bags to ultra low cost carrier competitive fares – and WN most certainly competes in markets where ULCCs operate. There is a bigger threat to low cost carriers such as B6 and WN from ULCCs than there is to the global 3. And it is naïve to think that this type of differentiation and unbundling of the fare is not coming to international markets. Delta has already said they will start rolling out Economy Basic fares in international markets which will undoubtedly include Caribbean/Latin America markets and Europe but they will come to Asia eventually. Asian carriers will also have to either take a hit to their “reputation” or watch their costs go up while competing against long haul ultra low cost carriers. 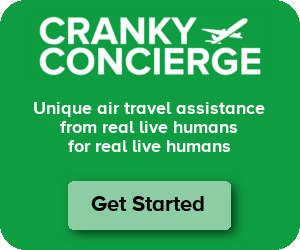 The biggest advantage that the global 3 US carriers have is that their on-time and cancellation rates are all better than the ULCCs so they will pull a certain amount of passengers who want “cheap” but still get a more reliable airline which is worthy of a certain level of extra money. AA and DL both seem to recognize the revenue management role of pricing and yield mgmt. in that process. I can see people buying this type fare without really paying attention to what they are getting (or not getting). But then again, this type fare would have the least available seats I would think. Just enough to entice people away from carriers like Spirit, but not enough to take away from the higher fares. Do a mock booking on Delta.com. You can’t miss the warnings. I also tried one of the OTAs (don’t recall, Expedia? Orbitz?) and they, too, did a good job explaining what I was buying and getting. There are certain routes where this can be effective for legacy carriers, but I don’t think it will be popular on all flights. Most people still need the carry-on, as a bag under the seat is practically nothing. Young adults on a tight budget for spring break love the idea of lower fares, but not your everyday traveler who needs more than bare fare. United just explained how their basic economy will enforced. It will debut at MSP. FA will not be involved in the policing process. The gate agents will have that fun. How does American flag the extra benefits available to customers who pay with the AAdvantage MasterCard? I’m referring to the free checked bag, boarding privileges, etc. Does it flag your reservation, so the kiosk will know not to charge a bag fee? Does it mark the boarding pass? Or must the customer assert his/her claim to the benefit every step of the way? I hope not! It’s hard to explain things to a kiosk, so one probably would have to wait in line for an agent, and confusion at boarding slows the process for everyone. A few years ago, I tried to board a US Airways flight with the first group on the basis of my branded credit card. The agent appeared completely unaware of the privilege, but relented and let me go anyway. I’d like to think airlines have upgraded the procedure during the intervening years. Not a critical issue, perhaps, but a practical one for travelers, who already have enough to worry about. sturobin – It’s tied to the AAdvantage number. Once you hold that credit card, then your account is flagged to include the extra benefits. You don’t even need to use that credit card if you don’t want. You just have to own it. I had the unfortunate experience of travelling to Florida on Frontier which was fine except for the toddler screaming the whole flight. Before everyone jumps to the conclusion that Im dramatic, before i sat down the woman in the middle seat said, “im sorry. I have vodka.” I turned around and tried to placate the child since the mother was doing nothing, but she told me the boy is autistic, claustrophobic and cant stand loud noises. Perfect for a three hour flight. The point is, all of these airlines should automatically check and put these families together and all the way in the back. Its not a question of telling the purchaser to pound sand, its a question of the inconvenience of another traveler being subjected to babysitting. I don’t have kids. I dont need to be afflicted with that pain when I fly especially when i pay extra to choose my seat. Very sad story, Ron, but it highlights a far bigger problem w/ that family that extends beyond just the airplane. you are right that everyone else shouldn’t have to pay the price for a mother who is incapable of dealing w/ the hand she was dealt as a mother. Many airlines do try hard to seat passengers together and it is really inconceivable that even Frontier would have told the woman that she couldn’t sit next to a child with that condition. Basic economy type fares will backfire for the global 3 airlines that offer them if they start creating sub-classes of passengers that are perceptible to other customers in the same cabin. No one knows when you were allowed to check-in or whether your ticket is non-refundable and your interactions with the airline about them are away from the rest of the other passengers on that flight. Access to the overhead bin is no different than telling economy basic customers onboard that they only get water while everyone else can have their choice of soft drink. The LCCs do understand the value of having a solid brand w/ definable product attributes. People understand that customers in the same cabin get the same product attributes regarding onboard service. AA and UA are both risking problems by trying to create a sub-class of passenger that might end up sitting next to someone who pays a much higher fare. Shame on both of you! It’s clear neither one of you have kids, and I doubt either one of you are married. GROW UP! Yes, I am married and have traveled often with my own child. The vast majority of parents do recognize that they have a responsibility to limit their child’s (and their own) negative impact on other people around them…. it’s why adults don’t turn around and look at people behind them or kick the seat in front of them. There isn’t a magical age when children suddenly become adults. My apologies Mr. Dunn! And I should apologize to Ron as well. I don’t know the circumstances which he flew. I had two kids, one was a perfect traveler from 3 months old. The other screamed his lungs out every flight, the whole flight. He wouldn’t stop, despite everything we did. I fly frequently, but after having kids of my own, I’ll be honest, a crying baby doesn’t bother me. On a recent flight to LGA, a young lady was traveling with her son and baby. The baby was fussing and cried most of the flight. The mother felt so bad and kept apologizing. I finally told her to look around the plane and asked her what she saw. I said it’s all older men, 40’s and 50’s, (including me), and we’ve all traveled with our own kids crying and screaming….don’t worry about it! I assured her a crying baby doesn’t bother me…and anybody with kids, it probably didn’t bother them either! We flew from DFW to ANC when my kids were 11 and 8. Several other passengers commented on how well behaved my kids were, and they sat still during the 7 hour flight. That made me proud! I fly Spirit all the time now, I refuse to fly the legacies, especially UA and AA. It’s pathetic waiting to board…First pre-boards, then AAirpass/Executive Platinum, Platinum/Gold/One World Elite (or whatever), Main Cabin ExtrAA, Priority (Group 1), then Group 2 “general boarding!” A LOW LIFE like me gets on and the plane is already full, including the bins – except for AA Eagle, which collects the bag at the door. Platinums/Golds, first class, full coach, international (? ), and AAdvantage credit card” holders are exempt from bag frees! What a scam! That’s discrimination! Spirit charges everyone for everything. They fly brand new airplanes and I can upgrade to a Big Front Seat for just a few dollars more. When I end up spending hundreds less on Spirit, who cares if I have to spend $5 for a Coke and Pringles on board. BTW, I have a small should bag that’s fits perfectly into their sizer – I can actually carry more that a $35/flight rollerbag – I apply that to the Big Front Seats! Basic Economy – FORGET IT! I’ll continue to fly Spirit! The previous message has been brought to you by the Spirit Airlines Marketing Department. Less Money, More Go! So, if you happen to go to one of many places were NK does not fly to, how do you get there? I’m lucky, I live in Dallas. NK has 28-30 flights daily out of DFW. They serve just about every place I fly to. From DFW, NK serves nonstop ATL, BWI, CUN, ORD, DEN, DTW, FLL, LAS, LAX, MSP, LGA, MCO, OAK (seasonal), PHL, PHX, TPA, SJD. They fly to most of the major cities – I’ve actually used them for: FLL, LAS, LAX, SAN (seasonal), MCO, PHX. That list is exactly why Cranky got to post about this today! In the end AA/UA/DL’s success with Basic is the same as NK’s -managing expectations. If you know what you are getting it isnt much of an issue. It shouldn’t really be much different than a person in main cabin getting a different experience than the person is business. That’s not my point. No matter what main cabin fare I buy, I’m still a nobody on AA. Going from the last boarding group (Basic Economy), to second to last boarding group (Economy) does me nothing. Unless one is at least a gold, or pays for for the pleasure, you are a nobody. I guess I don’t want to fly and feel like steerage, which is the case when I fly AA. I guess I will find out if I have to travel on AA. So Spirit must have some sort of magic boarding technology, perhaps straight out of Star Trek, where every passenger is boarding at the same time, beamed straight into their comfortable big seat wth plenty of leg room.. Too bad they patented it so the others can’t copy it. No, they zone load like most carriers. But unlike the legacies, they don’t have a long list of “elite” frequent fliers that board first. So what you are confirming is that there are people who board first and people who board last. It’s just that the selection mechanism is different. There are the same number of people who will find it pathetic to have to wait. Not only that, but as my previous message indicated Platinums and Golds don’t have to pay bag fees, and they can get assigned seats as any fare. I refuse to do business with a company that discriminates against its customers. As least when I fly NK, I can pay $30-$50 for a bigger seat. That will NEVER happen for me on AA/UA/DL.